The alley to Anne Ndungu’s tiny home is a narrow, rock-strewn dirt gully between identical buildings of dusty sheets of corrugated metal, the standard building material along with scrap lumber in the teeming Mathare slum of Nairobi, Kenya’s capital. The 32-year-old mother of three boys found out she was HIV-positive in 2009 when she was pregnant with her second son. Her husband had recently learned he had the human immunodeficiency virus that causes AIDS, and most likely passed it to her. Anne credits her success in surviving the infection to not only the life-saving antiretroviral drugs that treat HIV infection but also to the support of her “community,” the clinicians and volunteers in a Maryknoll-founded program in eastern Nairobi that for the last 25 years has helped and cared for people with HIV and AIDS. Alice Njoroge, left, managing director of EDARP, observes the counting of medicine by a community health worker at the home of a beneficiary in Nairobi. 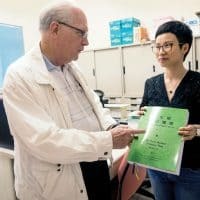 When the Eastern Deanery AIDS Relief Program was started in 1993 by Maryknoll Father Edward Phillips, the staff could only accompany the dying and their families. Today EDARP—as the program is known by its acronym—has a success rate that exceeds the rate in many major cities in the developed world, including New York. Yet it operates in one of Nairobi’s worst slums, Mathare, arguably one of the most desperate slums in the world. Since AIDS was first identified in 1981, an estimated 78 million people have died worldwide in the pandemic. That success, says EDARP Managing Director Alice Njoroge, is because of the faith of most of EDARP’s more than 1,000 community health workers, who monitor people with HIV and AIDS and tuberculosis, which is closely associated with HIV infection. 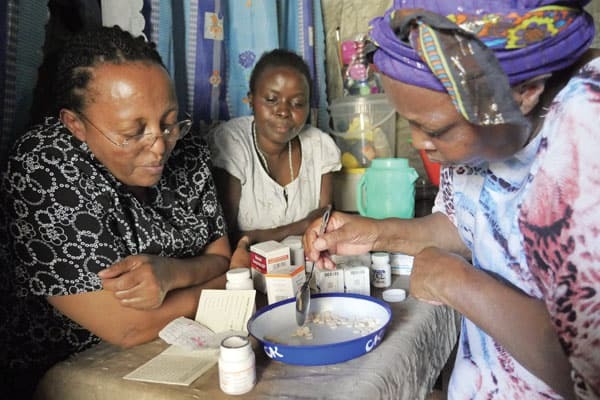 The community health workers, or CHWs, make sure their HIV-positive neighbors take their medications consistently, are eating well and provide the critical social support to maintain treatment adherence. Organized, trained and supported through the area’s small Christian communities connected with local Catholic parishes, the CHWs are part of EDARP’s faith-based mission of compassion, giving constant encouragement to their HIV-positive neighbors, including spiritual support for those who wish it. Another major success indicator, Father Bauer says, is the transmission rate of the virus to newborns from HIV-positive mothers, which is less than 1 percent among the 25,000 people being served by EDARP. At the state-of-the-art medical laboratory EDARP runs to test and monitor patients, lab team leader Jessee Karanja says in 2017 there were no new mother-to-infant transmissions among about 200 births to EDARP clients. “I personally credit a lot of that to the community health workers and the volunteers identifying people, especially pregnant women, getting them on treatment, and then having safe delivery to really eliminate new pediatric infections,” Father Bauer, 59, says. Without medical intervention, about one-third of babies born to HIV-positive mothers would be infected with the virus, he says. 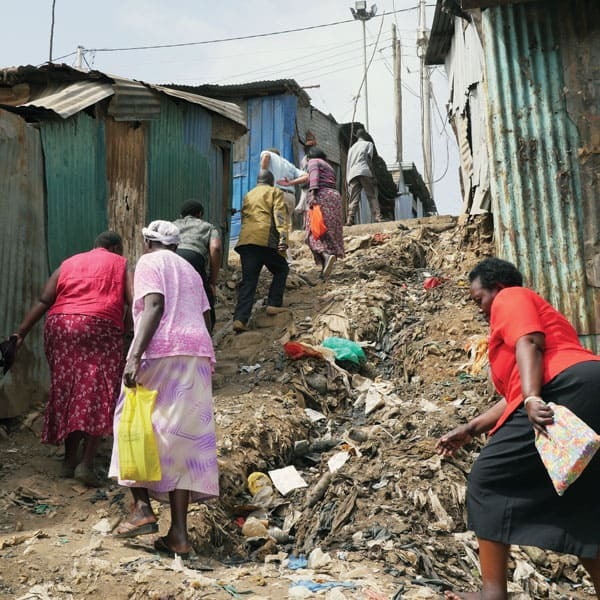 Community health workers with Eastern Deanery AIDS Relief Program trudge up a steep trash-filled byway en route to see clients in the Mathare slum in Nairobi. Njoroge, who began with EDARP when it started, says the faith motivation of CHWs, who are paid only a small stipend, is so integral to the Eastern Deanery’s program that all of them come to the program through the parish small Christian communities. Small Christian communities, also known as base ecclesial communities, grew out of the Second Vatican Council’s mandate to involve lay Catholics in the community and mission of the Church. 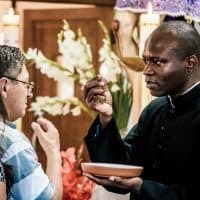 “One of my tasks when I got this job was to go around to the parishes, to the small Christian communities and sensitize them, and talk to them that we need people,” Njoroge says. 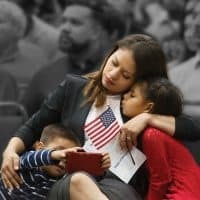 The people in the small Christian communities knew who is ill within their community and who was the person who usually went to visit these sick people. She would then ask the communities to suggest people who could be trained by EDARP. People had to have that faith motivation because in the early 1990s their work involved accompanying the dying. “They were very much traumatized by seeing so many deaths,” she said. That applies as well to people living with HIV who, having been cared for by CHWs, are now healthy, and want to give back to the community, Njoroge says. And it applies to the non-Catholics and Muslims who also feel called to help those with HIV. The small Christian communities, she notes, act like clearing agencies to ensure community health workers are motivated by faith and a desire to help those who are sick and in need, not just looking for a job. 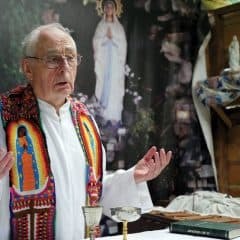 She says the EDARP method is also used in the coastal Kenyan city of Mombasa, where the late Maryknoll Brother John Mullen replicated the model with the help of Eastern Deanery trainers to get it started. Maryknoll Father Richard Bauer and two male community health workers meet with a woman client of the Eastern Deanery AIDS Relief Program in Nairobi, Kenya. 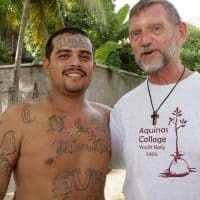 Father Bauer sees his role as reinforcing the spiritual component of the program, and pushing for even higher compliancy. 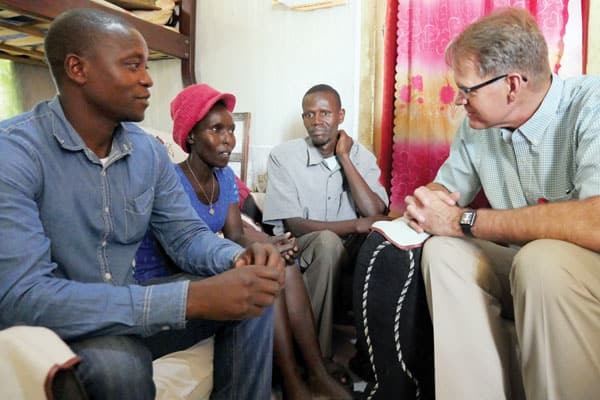 The missioner from Santa Barbara, Calif., has worked in ministry with people with HIV and AIDS since his ordination in 1985, including serving in that ministry in Tanzania and in Namibia. 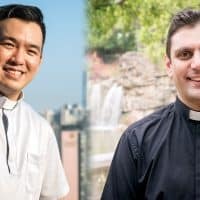 Most recently he completed a board-certified chaplaincy program at New York’s Mount Sinai Hospital, where the emphasis is on healing the body, mind and spirit. His goal is promoting patient-centered spiritual care that begins in the initial medical assessment and includes questions about a patient’s feelings and experience with faith and spirituality as it relates to HIV care and treatment. Anne Ndungu expresses gratitude to those whose faith helped her, noting her “social worker” usually visits her every day to give her encouragement. “I know I’m not alone,” she says. “They guided me and so I’m here. I’m not nobody. I’m somebody. Anne Ndungu is a pseudonym to help protect her identity and comply with Kenyan law that limits identification of people with HIV. Featured Image: Father Richard Bauer and a community health worker, left, check in on a woman and her family who are beneficiaries of the Eastern Deanery AIDS Relief Program. Maryknoll magazine content can be republished at no cost and without prior authorization, as long as you follow our attribution guidelines. Maryknoll magazine  the flagship publication of Maryknoll  has chronicled our mission for 100+ years to serve the poor and suffering around the world. The Maryknoll family is comprised of four distinct organizations. Each entity within the Maryknoll family is a registered 501(c)3 non-profit organization. Copyright 2017 Maryknoll Fathers and Brothers. All Right Reserved.